Does The Brother SE1900 Sewing and Embroidery Machine Improve Old Designs? There is always some anticipation for a new Brother machine, and there is plenty of hype around the Brother SE1900 Embroidery Machine. This model won a 2018 Women’s Choice Award. With such a high praise, are buyers impressed with what this machine can actually do? The Pros and Cons of this Brother SE1900 Sewing and Embroidery Machine. broken needles on high speeds. There is a lot to this Brother SE1900 Embroidery Machine that should help many users with their embroidery projects. There is the sense from the specification of this sewing & embroidery machine that Brother have tried to cover all the bases on the hardware and software. One of the most appealing aspects with the hardware is the inclusion of an embroidery field of 5 x 7 inches, rather than the more typical 4 x 4. This makes a big difference on larger projects. There are also 8 different feet for increased functionality and even a knee raise bar. However, this broad range of features does have its drawbacks, as you will see below. As for the software and design editing, there is a nice colour screen with touch controls that allows users to see the design and adjust it to their needs. There are 138 built in designs to provide inspiration and basics like fonts and border, but there is also the chance to upload more. Users tend to agree that it is easy enough to install images and work on designs. Yet, the complexity of this Brother SE1900 does have its downsides too. The biggest issue with this model is that there is just so much to take in. There is a positive side here, as it means that there is room for progression onto tougher projects. Yet, there are experienced sewers that get a little flustered and ignore some features to begin with. Another issue that one user learnt pretty quickly is that the needles provided with the machine can break if you try and work too quickly. This Brother embroidery machine seems to encourage those that work at more steady pace. Otherwise, the machine seems durable and well-made. What does this all mean for a final verdict on this Brother Embroidery and Sewing Machine ? It is pretty safe to say that this model isn’t an entry-level option for first timers. There is a lot going on here and this is a pro or con depending on your experience level. 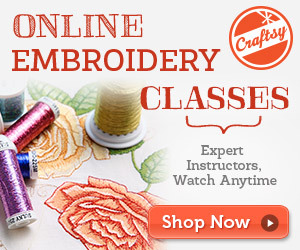 Those that are new to embroidery may find that a previous model is a little more user friendly. Those that have experience and want to challenge themselves should find that this machine provides the tools, work space and software that they need. If you are prepared to work with the Brother embroidery machine, you can get some great projects out of it. Find more reviews about the Brother SE1900 Embroidery Machine on Amazon here.